In May of 1949 — 70 years ago — young Deil O. (“Gus”) Gustafson graduated from old Churdan High School, and started an amazing adult life and career. He earned college degrees in Minnesota and North Dakota, added a law degree in the Twin Cities, became a university professor, investor and eventually the president of a small chain of banks. 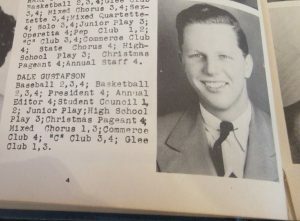 Gustafson in his high school yearbook, with his first name misspelled. His real estate investing led him to Las Vegas where, in the 1970s, he became sole owner of the famous Tropicana casino & resort and then other properties. Eventually, he was overextended financially, had to take on partners, and that opened the door to his empire being infiltrated by “the Kansas City mob,” as newspaper stories back then referred to it. He served some prison time and became a witness for additional federal prosecution of Kansas City crime figures. 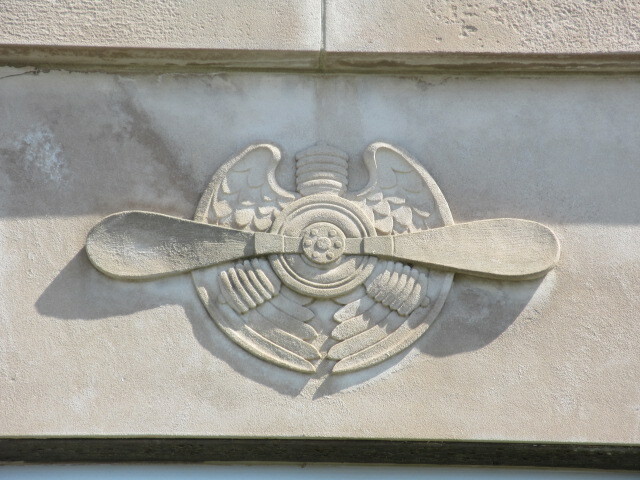 Gustafson wound up back in Minnesota, overseeing a farming operation in the Cannon Falls area, and died there in 1999 at the age of 67. Churdan native Paul White, a member of the historical society board of directors, was a half-dozen years behind Gustafson in school and has always been fascinated by his life. The past six months, he’s been compiling information, contacting Gustafson’s high school classmates for their help, and working with our board’s Chuck Offenburger, a retired journalist. They are collaborating to present our program on Friday, May 3, at the Public Library in their ol’ hometown. There will be a catered lunch in the library’s community room at 12 noon, $8 for historical society members and $10 for others who are not members but would like to eat with us. Historical society members should RSVP about lunch to their community contacts by Tuesday evening, April 30, and others who want to have lunch should RSVP to board member Margaret Hamilton at (515) 386-4408.